People are deceived out of their rights by legalities they did not understand. Many people think that rights come from government. Rights do NOT come from government. We are endowed by our Creator with unalienable rights. We were born free with The three rights of all mankind. Here is the understanding of our rights under the original meaning of the U.S. Constitution. It is because you had an unalienable right to free-will that governments would protect you from all known methods of compulsion. No equal would ever salute another equal. One only salutes superiors. Equals will not consent to be governed. This is a short essay to prove that you waived your rights, even your religious liberty. 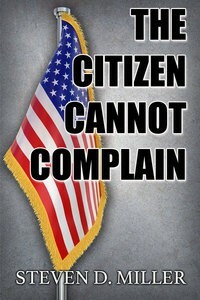 You were free from federal laws until you volunteered. You volunteered by applying for federal benefits. Rights only come with responsibilities. Government encourages us to be irresponsible. The civil laws reduce an ungrateful freeman to slavery. Since you confessed that you are ungrateful for your freedom, the civil law in America has a right to control you. You lost your rights when you voluntarily confessed, that you are an ungrateful socialist who needs government help to manage your life. Applying for benefits is a confession that you are too irresponsible to manage your own affairs. You become a permanent ward of the federal government. Rights do not come from government. Here is a civics course in four pages. 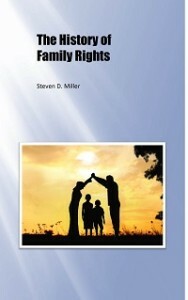 A must read for homeschoolers near age 18. The Bill of Rights adds further restrictions on government. The bill itself stipulates that it is “further declaratory and restrictive clauses ” Proof. Did you waive your right to earn wages, thereby making your wages taxable? A forced signature is not a signature. It is a crime to force a signature. What did you voluntarily sign, under penalty of perjury, on a permanent irrevocable federal document, that tricked you out of your rights? How do you know if you have waived your rights? Rights only come with responsibilities. You volunteered into the federal government by applying for federal benefits, thereby confessing that you are ungrateful for your freedoms. Civil Law in the U.S. Here are maxims of law enforced by every court, to explain why we must be controlled. When a government is overthrown, the people do not automatically owe allegiance to the over-throwers. Children at government schools must be slowly indoctrinated to violate their parents’ culture. Now that everyone was taught to automatically worship an artificial entity, the Real ID laws can demand allegiance. Even though the U.S. Supreme Court once declared that forced allegiance is always abhorrent in the U.S. The Social Compact Theory of government is the theory that you agreed to submit to government. It did not exist under the U.S. Constitution. Public Education of Children: Mandatory or Voluntary? Fundamentals for all homeschoolers. Public Education is the tenth plank of The Communist Manifesto. Pet licensing: Mandatory or Voluntary? Income Tax: Mandatory or Voluntary? Graduated Income Tax is the second plank of the Communist Manifesto. Communism cannot recognize individual rights, not even in America. Don’t be fooled. Learn the language tricks that trap you. The word must means may. The word shall sometimes means may. Sometimes may means must. The word or means and. The definition of regulate keeps changing. 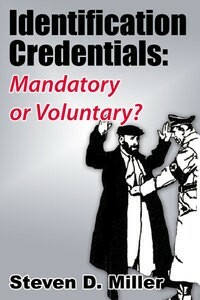 The word Required does not mean mandatory. Laws are merely directory if they try to regulate a right. 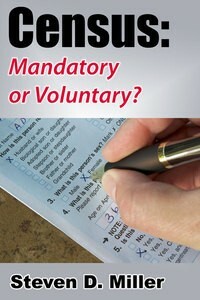 Driver’s License: Mandatory or Voluntary? Is “driving” a right or a government granted privilege? This is my second most popular essay. And an essay on how lawyers keep changing the definition of the word license. Here. Getting a Social Security Number is always voluntary. (More… and More… and More… ). And here is my SSN-Not-Required PowerPoint presentation. Learn to recognize government deception. Learn to stand up to government bullies and lawyers. The official “explanation” why all water belongs to the State. And don’t miss topic #15 What about Jury Duty? AMERICA HELD CAPTIVE — Part 3 — How to recognize your slavery when you see it. Here is proof that the government owns “your” car. This is my most popular essay. Regulations of prescription medications, are they Constitutional? Is there an honest lawyer? Attorneys must attorn. If you hire an attorney, you have confessed allegiance to their system. They cannot help you attack the feudal barbarism that enslaves you. What is wrong with liberal thinking? : Part one. Two millennia of moral ethics reject socialism. What is wrong with liberal thinking? : Part two. Why Social justice hypocrites must deny that we are all created equal. Even though it is their major premise. Presumed contracts that ensnare you. Do not be fooled by the lawyer’s term “persons“. And understand why corporations are persons. Something is fishy in the United States. Environmentalists have destroyed the fishing industry. From whom do the kings of the earth exact tribute? Understand that direct taxation of citizens throughout history has always been prohibited since Biblical times. And proof that the IRS is not an agency of the U.S. government. There is a reason that this word does not appear in the U.S. Constitution. Exposing the injustice of Judicial activism. Banks are the enemy of Capitalism. A banking system is the fifth plank of the Communist Manifesto. Communism cannot recognize individual rights, not even in America. The Constitution requires a balanced budget. This essay explains the forgotten history of direct taxes. The Constitution does not change. The U.S. Constitution is not a living document. Things government forgot to tell you about the Social Security System. the consequences of remaining silent. These changing definitions mean different things to different people. Don’t confess to a legal status that you don’t understand. 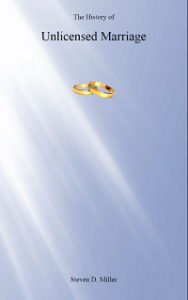 An Easter Quiz to introduce you to my free PDF download on the only divine credential of Christ. Welfare. Proofs that the U.S. Constitution does not allow for individual welfare. Do not be fooled by hundreds of cunningly arranged lies appearing as truth. — Albert Einstein, letter to Jost Winteler, 1901.